Valleywag is testing the loyalty of every Apple employee up and down the land by offering obscene amounts of money for pictures and a hands-on with the as-yet-unconfirmed Apple iSlate tablet. On its website, Valleywag has notified its readers that they can earn $10,000 (£6,200) for bona fide pictures of the iSlate, $20,000 (£12,200) for a video of the iSlate in action and a massive $50,000 (£30,500) for an image of Steve Jobs holding the heralded Apple tablet. If that's not all, there's the ultimate prize of $100,000 (£61,000) for the person who can get the product to the Valleywag offices so they can play with it for an hour. 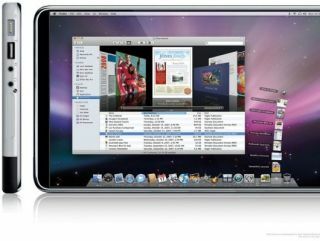 "We've had enough of trying to follow all the speculation around Apple's impending tablet – how it'll work, its size, the name, the software and whether it will save magazines. We want answers, dammit! And we're willing to pay," says the Silicon Valley gossip website. The site continues: "Apple has said absolutely nothing about its tablet, but everyone expects it to be unveiled in San Francisco on Jan 27. So, that gives you to two weeks to play in Valleywag's Apple Tablet Scavenger Hunt." So, any Apple employee's out there willing to risk life and limb for the chance to grab some cold, hard cash? Let the moral games begin.